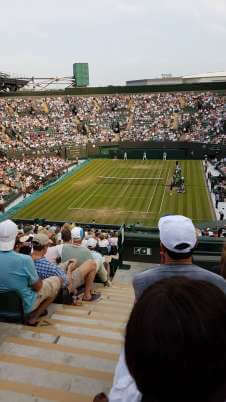 From the ratings submitted, Seat Blocks at Wimbledon - No.1 Court have been given an average rating of 4.5 out of 5. This is how our site users rate the seat blocks at Wimbledon - No.1 Court. 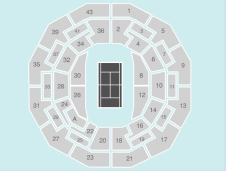 Seat block 26 gets the best rating at Wimbledon - No.1 Court. Click for more information. No. 1 Court opened in 1997. The court is used for the Wimbledon Championships and is sometimes chosen for Great Britain Davis Cup home ties. No. 1 Court has a spectator capacity of 11,430 it replaced the now-demolished former No. 1 Court which had stood at the west side of Centre Court since 1928, increasing capacity by over 4000 spectators. We currently do not have any events listed at Wimbledon - No.1 Court, please click on a seating plan for more information about seat locations at Wimbledon - No.1 Court.